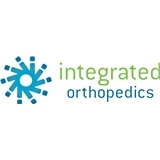 Integrated Orthopedics (Phoenix) - Book Appointment Online! Please Note: For all existing patients who are booking a follow-up appointment please call our practice. Please ONLY new patients or existing patients who are starting a new treatment plan should be scheduling through Zocdoc. Our practice is limited to the specialty of orthopedics, which is devoted to the diagnosis and treatment of disorders and injuries of the musculoskeletal system in both adults and children. Brian Gruber MD specializes in orthopedic surgery and sports medicine.